It’s a shame that a documentary has never been nominated for the Academy’s Best Picture award – because Amy was the best film of 2015. 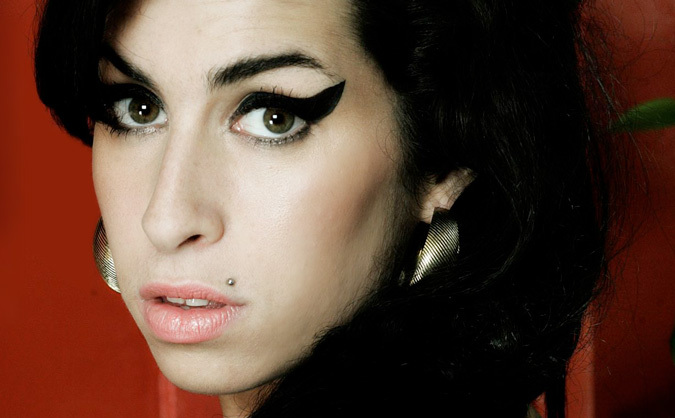 Look, I liked The Revenant and Fantastic Four as much as the next guy, but no film moved me as much as the harrowing, devastating, profoundly beautiful documentary about fallen jazz and pop star Amy Winehouse. I defy you to watch this movie and not fall in love with her and then grieve for her. The film aims an unflinching eye into both the light and dark sides of Amy. She possessed both spellbinding beauty and grotesque self-destructive behavior in equal measures. At the peak of her powers, her voice will make the hair stand up on the back of your neck at the very least (listen to Amy’s 2004 performance of ‘What Is It About Men,’ featured in the film, below). The film’s highlights include footage of Amy recording her timeless masterpiece Back to Black in the studio with visionary producer Mark Ronson. One of Amy‘s greatest strengths is that it restores a complete vision of the artist’s complex life after a decade when the public representation of her memory was dominated by the exploitative tabloid version. Amy’s Achilles heel was her desire to please her father Mitchell, portrayed in the film as a self-centered opportunist. Her relationship with her father is mirrored in her marriage to drug addict Blake Fielder-Civil, who takes bold advantage of his newfound accomplice in addiction. Amy seems blind to the self-serving nature of both men – or drawn to them because of it. This tragic flaw sends her careening into a rudderless tailspin several times during the film. Part of Amy’s complexity is that her life-affirming music sprang from these relationships that threatened to destroy her. A documentary has never been nominated for the Best Picture prize at the Academy Awards (despite Michael Moore’s efforts to acquire one for Farenheit 9/11). They are technically eligible, but the Academy has historically treated this category as a fiction category. The potential for a non-fiction Best Picture brightened a bit when the category was extended to eight nominees. Regardless, for me Amy was the most captivating film of 2015, and the only one I returned to again and again.